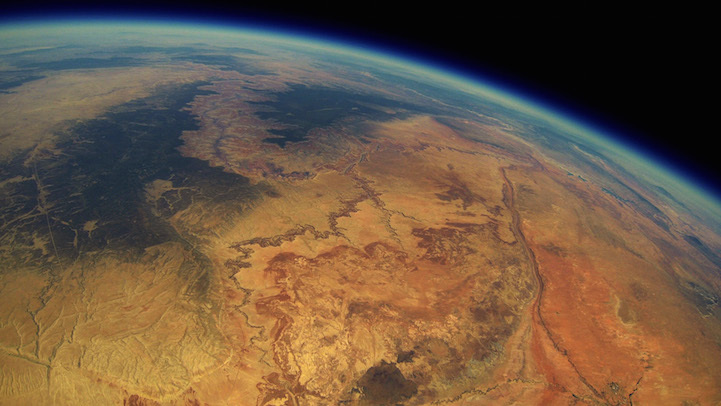 Back in June 2013, five friends in Arizona decided to capture some footage of space by sending a GoPro, camcorder, and phone up in a weather balloon. The team–consisting of college students Bryan Chan, Ved Chirayath, Ashish Goel, Paul Tarantino, and Tyler Reid–built their device, calculated its trajectory, registered with the FAA to avoid interfering with passing aircrafts, and finally launched the balloon in the desert a few miles outside of Tuba City. The friends planned to track the balloon’s progress using GPS on the attached smartphone, but they soon lost contact with the locator after the device floated out of cell phone tower range. 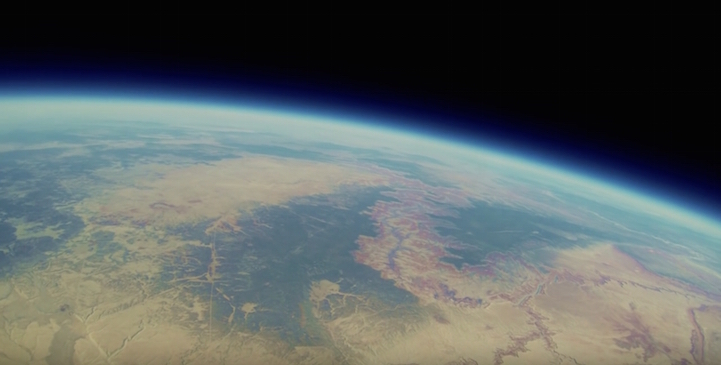 For months, the group wondered if they would ever get their balloon and cameras back. In reality, it would take two whole years for them to see the results of their project again. This summer, they received a call from an unknown number–a hiker in Arizona had found a strange box with their names on it 50 miles away from their original launch point. 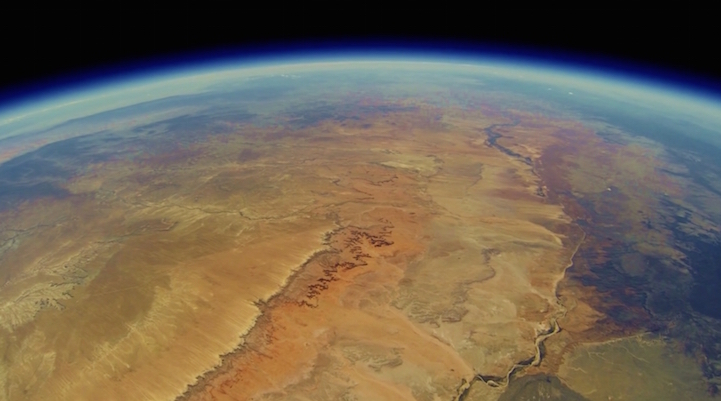 Reunited with their equipment, the team could finally see the extraordinary video and photos that the cameras had taken–including a gorgeous “money shot” of the Grand Canyon captured from the stratosphere (above). 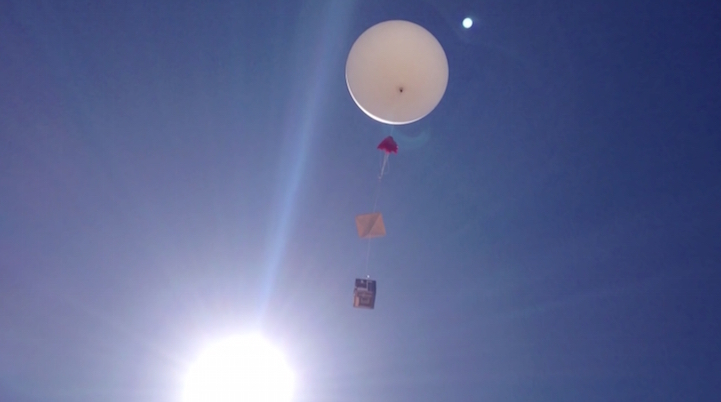 The group of friends also had a chance to parse the data from their device, and they learned that the balloon had reached an altitude of 98,664 feet, with a total flight time of 1 hour and 38 minutes. 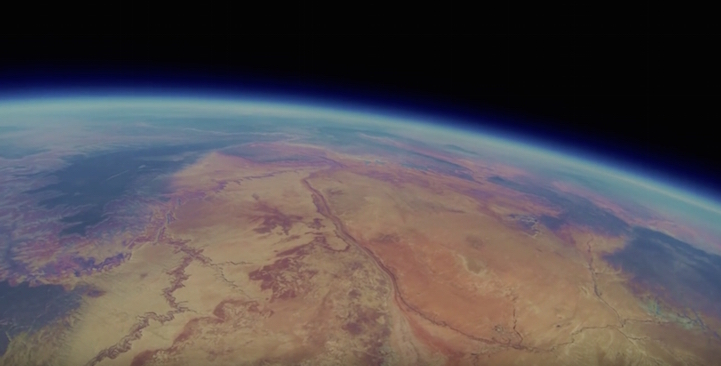 To learn more about the incredible experiment, check out out the video that the team put together using footage from their GoPro (below).